Next Post: Goodbye mediawiki, hello new website! 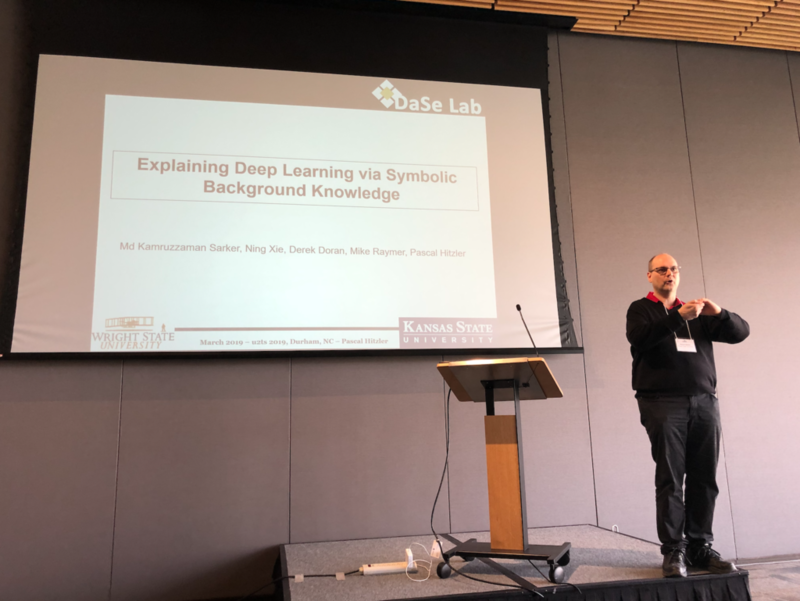 This is a guest blog post from Md Kamruzzaman Sarker, who was supported by the ongoing Open Bioinformatics Foundation travel fellowship program to attend 2nd U.S. Semantic Technologies Symposium Series (US2TS). The OBF’s Travel Fellowship program continues to help open source bioinformatics software developers with funding to attend conferences or workshops. The current call closes on 15 April 2019. If you are hoping to attend an open source / open science bioinformatics even and travel costs are a barrier, we encourage you to apply for one of our $1000 travel fellowships. To discuss and solve open problems of using Semantic Web technologies US2TS symposium is being arranged for the last 2 years. 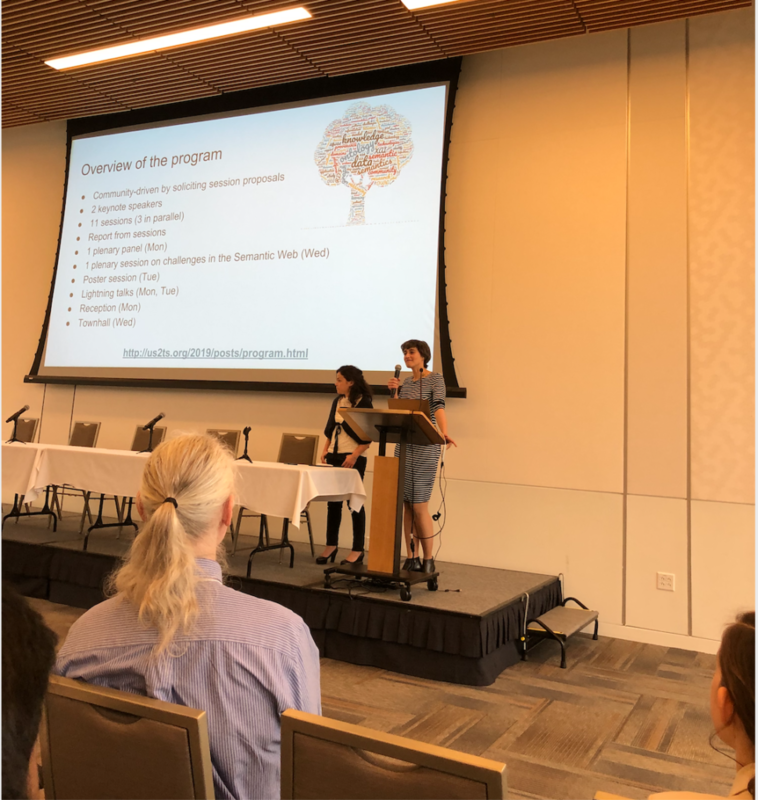 To bring diverse United State semantic web researchers into a common platform where they can discuss ongoing problems, share ideas to improve those this symposium started at 2018. The first symposium was held at my university (Wright State University). 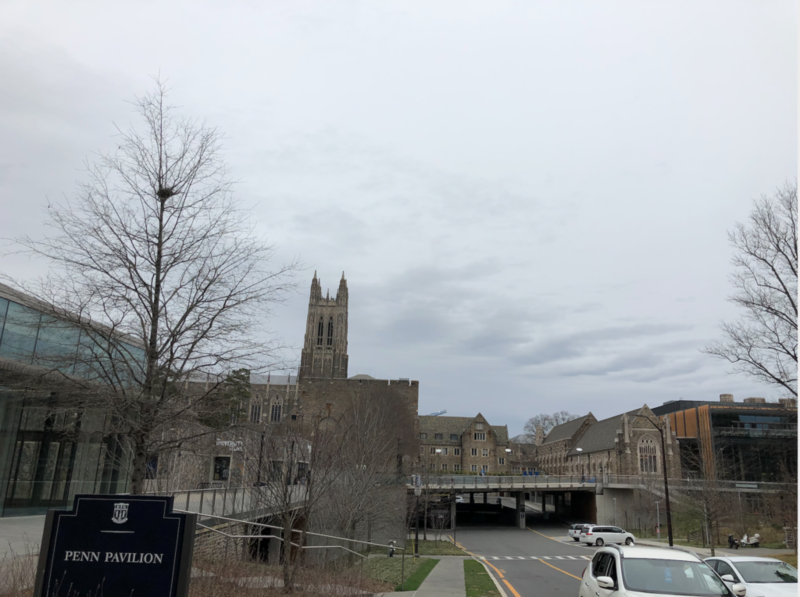 This year’s symposium was at Duke University, Durham, NC so I travelled from west coast to east coast to attend this symposium as I was doing my internship at Intel, Oregon. I flew from Portland, Oregon to Durham, North Carolina. 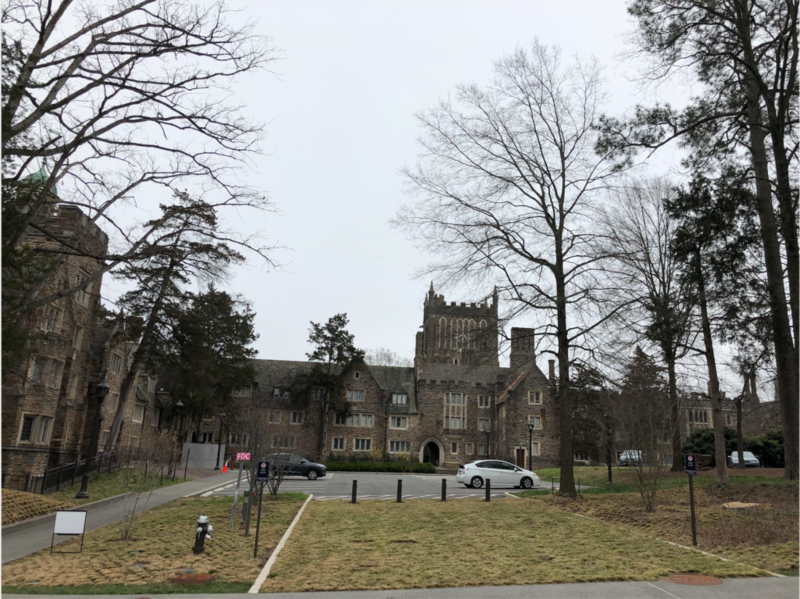 The picturesque views, architecture and the surrounding atmosphere at Duke university creates a pleasant environment for brainstorming. Knowledge graph is essentially A-Box. We need system which don’t require a PhD to maintain. Tools are important to support the infrastructure. Why industry is not using/being able to use semantic web technologies in large scale? The last question is actually an ongoing open-ended issue for over a decade and we as a semantic web community don’t have a clear answer to this. In my opinion, the technology behind the semantic web (Description Logic and others) is not really easy to grasp by an undergrad student. Unless we can create some technology, which is easy to understand or it gives tremendous economic benefit, it will not be used by mass people. In total there were 11 tutorial/workshop sessions this year. I also organized a tutorial on Explainable Artificial Intelligence (XAI). Because of the schedule conflict, two organizers, Dr Derek Doran, and Freddy Lecue could not come to present on the tutorial, but I and my advisor Dr Pascal Hitzler were able to present. I discussed the current state of the art of the XAI, it’s limitations and how semantic web can help to enhance explainability. Dr Hitzler presented a broad picture of neural semantic integration and its benefits. He also briefly mentioned our current work on this approach which is published at AAAI-2019 (Efficient Concept Induction for Description Logics). We also made the source code open access and published at GitHub (https://github.com/md-k-sarker/ecii). 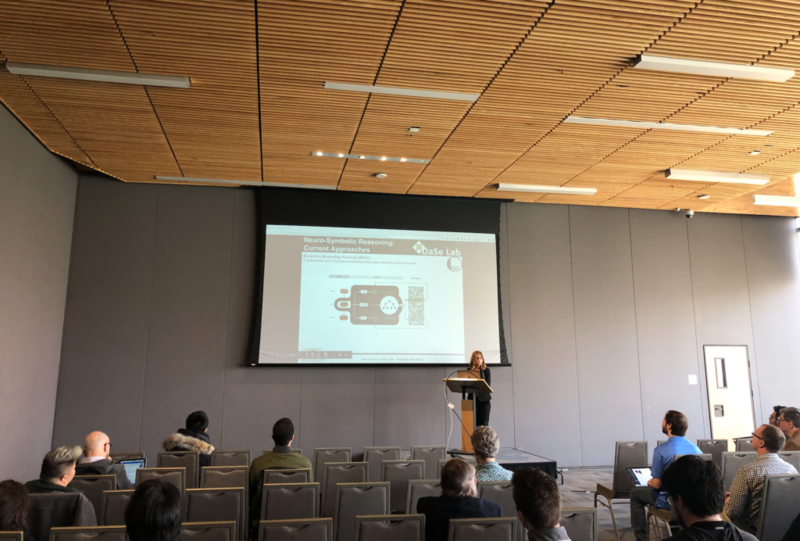 Another breakout session titled Fusion of Semantic Knowledge into Deep Learning Models organized by Monireh Ebrahimi, Jonathan Francis, Alessandro Oltramari was particularly interesting. They discussed how semantic web can help deep learning models to get the common sense of the real world. Knowledge graph is a marketing term. Don’t waste time on defining knowledge graph, spend your time to work on knowledge graph. Another interesting session was the past, present, and future of semantic web. Researchers shared their views on working on semantic web and what may be the future situation of semantic web technologies. 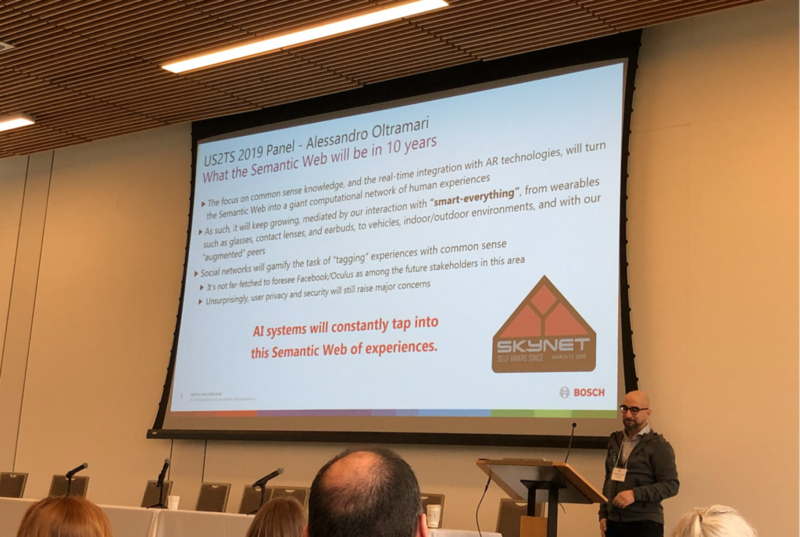 Alessandro Oltramari presented a long term goal stating that deep learning needs the semantic web to get the common sense of this real world. Because of my job I had to come back early, so I returned from the event after attending the first day’s sessions. It was an excellent experience for me to discuss and get and share ideas with other researchers from our community. People want to see industry/mass people are using their technology. We need to simplify semantic web technology infrastructure to engage more industry/people. Representing knowledge is still a big challenge, especially on large scale. I acknowledge the support of Open Bioinformatics Foundation (OBF) which helped me to attend the conference. I encourage you to schedule a call with me to discuss how we are achieving large scale graph query performance. Not a product pitch, just information sharing. We are enjoying increased adoption and many of our customers don’t necessarily know we use (W3C) semantic technologies. I’ve been working with semantic technologies since about 2001. So I appreciate the challenges and opportunities.